Sydney is known for nightlife, trails, beaches, parks, and museums. 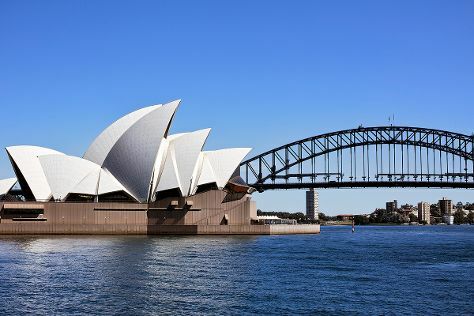 Your plan includes some of its best attractions: take in nature's colorful creations at Royal Botanic Garden Sydney, meet the residents at Sea Life Sydney Aquarium, enjoy the sand and surf at Manly Beach, and take a stroll through The Rocks. To find more things to do, photos, and tourist information, use the Sydney online holiday planner . London, UK to Sydney is an approximately 25-hour flight. You can also do a combination of flight and train; or do a combination of flight and bus. You'll lose 10 hours traveling from London to Sydney due to the time zone difference. Traveling from London in March, things will get warmer in Sydney: highs are around 30°C and lows about 22°C. Cap off your sightseeing on the 19th (Tue) early enough to travel to Brisbane. You'll find plenty of places to visit near Brisbane: Warner Bros. Movie World (in Oxenford) and Sea World Theme Park (in Main Beach). Next up on the itinerary: stroll around South Bank Parklands, look for all kinds of wild species at Lone Pine Koala Sanctuary, admire the natural beauty at City Botanic Gardens, and look for gifts at Noosa Chocolate Factory. 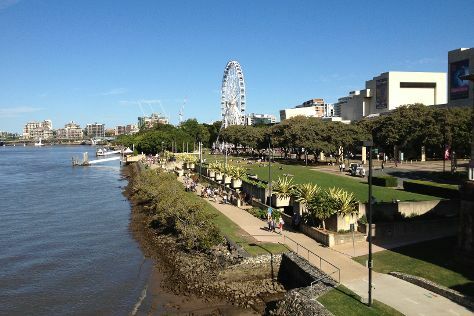 To see photos, reviews, maps, and other tourist information, read our Brisbane travel itinerary planner. Traveling by flight from Sydney to Brisbane takes 4 hours. Alternatively, you can do a combination of flight and bus; or drive. In March, plan for daily highs up to 32°C, and evening lows to 23°C. Wrap up your sightseeing on the 23rd (Sat) to allow time to travel to Airlie Beach. On the 24th (Sun), spend a thrilling day on the water with a speed boat tour. Spend the 25th (Mon) among aquatic life with a scuba or snorkeling tour. The adventure continues: get some thrills out on the water with a waterskiing or jet-skiing adventure, contemplate the waterfront views at Heart Reef, kick back and relax at Airlie Beach Lagoon, and take in the pleasant sights at Coral Beach and the Beak, Conway National Park. To see more things to do, traveler tips, photos, and tourist information, go to the Airlie Beach vacation planner. Getting from Brisbane to Airlie Beach by combination of flight and bus takes about 5 hours. Other options: do a combination of flight and ferry; or drive. Traveling from Brisbane in March, expect a bit warmer with lows of 28°C in Airlie Beach. On the 27th (Wed), wrap the sightseeing up by early afternoon so you can travel back home.